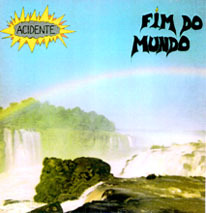 FIM DO MUNDO is the second album of the Brazilian rock band ACIDENTE (that would be called "Luta Armada", originally). It was recorded in much better conditions than GUERRA CIVIL and features remarkable achievements when compared to it. On the other hand, it would be harder yet to get any kind of media response, since the majors had finally launched their own national rock "products" and thus both press and radios (not to mention the unreachable tv) were entirely devoted to collect their payola. 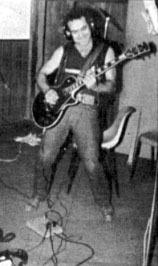 Anyway, some tracks could be heard on at least 2 FM stations in Rio (Maldita and Estácio) and maybe a dozen through the whole country: "Triste sina", "A Lua", "Perdido num mundo de sonhos" and most specially "Clube 34 Blues", that became one standard of the band. "From punk to funk, rock is on us"
cover and back cover: 7 QUEDAS - exterminated by 'brazilians' in the name of 'progress'. 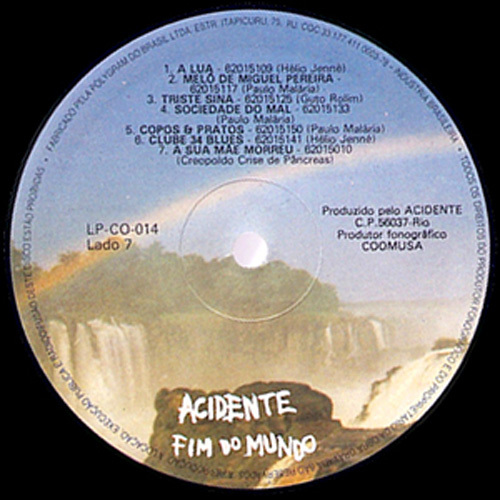 produced by ACIDENTE - From Punk to Funk, Rock is on us! ACIDENTE ® PAULO MALARIA ® & STOLEN RECORDS ® are registered Trademarks. 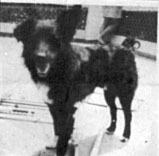 All rights reserved by the producer of this record. Void any reproduction etc. ACIDENTE ® has no representatives or licensed agents anywhere. And now ACIDENTE ® plays no live at all. Bad news. We lost contact with 'Fern -O' for a long time and some time ago someone said that he ended his days. Too bad if true. If you know something about, please contact us! Não jogue a vida fora num sarro! Ou morra sem saber porque. Eu quero mais é que essas coisas se arrebentem ou não! O couro comeu, a vida era horrível e o povo gritou ou ou! Guerra civil anarquia, ou vamos terminar monarquia! Diga que o futuro tá pra chegar oh! Depois tudo mudou, meu sonho acabou, tô perdido tô wow wow! Perdido num mundo de sonhos, oh! Baile de black, Baile de black yeah yeah!